Big Happy Birthday to our #MetsCrushMonday this week. 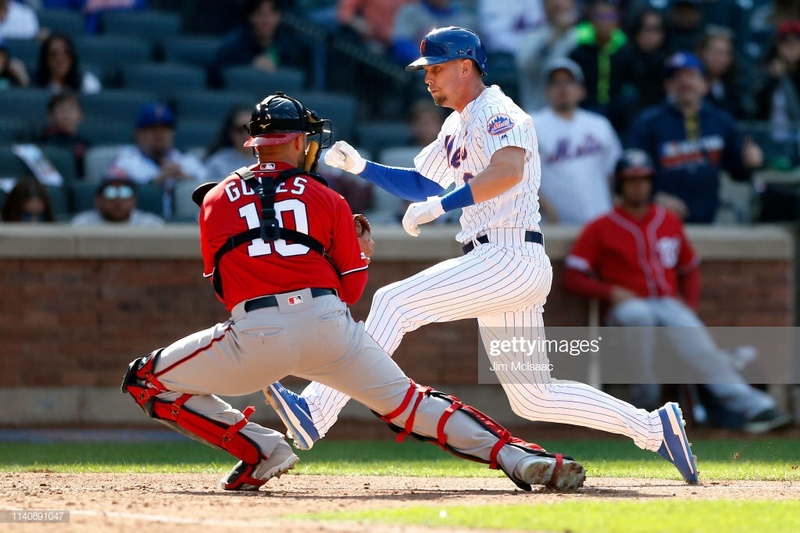 What’s really left to say about Jeff McNeil? The kid is an all out hitter and he plays all over the diamond, we even found out that he’s reserved as the Mets emergency catcher, incase the Mets were to run out of their more conventional options. McNeil doesn’t just get hits however, he picks up multiple hits in single games on several occasions and seems to have no issues keeping his batting average over .300, at least not in the last year he hasn’t. Beloved Mets pitcher Noah Syndergaard even refers to McNeil as “The Squirrel”. When the Mets signed Jed Lowrie to a two year, $20M deal, McNeil’s future with the Mets was very much up in the air. But with the extensive injury on Cespedes, McNeil was pushed to left field in order to keep his bat in the lineup. Now that Lowrie’s down and out for an unknown amount of time, this let’s the Mets utilize McNeil at third base, for the time being. While the outfield is now better prepared defensively with the Mets being able to position a true centerfielder in their spacious outfield. I want to call McNeil a poor man’s Ben Zobrist, but Benny, get in line, bud. My opinion is, that in McNeil’s short Major League tenure, he’s a better player than Zobrist was. Ben Zobrist may have more power and experience (which is essential), McNeil strikes me as the player I’d rather have on my team. McNeil has accumulated 22 at bats during the season and has a .409/ .519/ .591/ 1.109 slash line in just eight games played. He has two doubles, a triple, and four RBI’s accounted for in his hot streak. Drafted by the Mets in 2013 June Amateur Draft in the 12th round, McNeil was never seen as a potential difference maker by executives within the organization. He practically hit well at every level he’s played in and it seemed like he wasn’t close to being on the Mets radar. However, while organization might have been ignoring the young utility man, bloggers and fans a like saw through the smoke. Many fans were outraged that McNeil wasn’t called up earlier last season, approximately after the service time deadline. McNeil would eventually get the call and he showed the Mets brass where he belongs. In just 63 games and 248 plate appearances, McNeil hit .329/ .381/ .471/ .852 in 225 at bats. I think it’s safe to say, McNeil doesn’t have much to worry about when it comes to playing time, anymore. He’s proven that you can slot him anywhere, and he’ll probably go 3-5 for you.